Spanish people, in general, are known for being a very religious nation were Catholic church plays a significant role in daily lives of many. Those who are coming from not so religious countries might be very surprised by the amount of the religious celebrations which Spain has and the popularity between locals which these festivities have. One such massive celebration is called Our Lady of Mount Carmel Celebration taken place on 16th of July each year. Our Lady of Mount Carmen Celebration refers to Santa María del Monte Carmelo, also locally known as Virgen del Carmen or Nuestra Señora del Carmen. It is considered to be a patron of mariners and fishermen everywhere across the cost of Spain and it is often called the Queen of the Seas, la Reina de Los Mares in Spanish. It is believed that the Virgen del Carmen embraces all the lovers of the sea and that only after the 16th of July one would be able to start swimming in the sea. 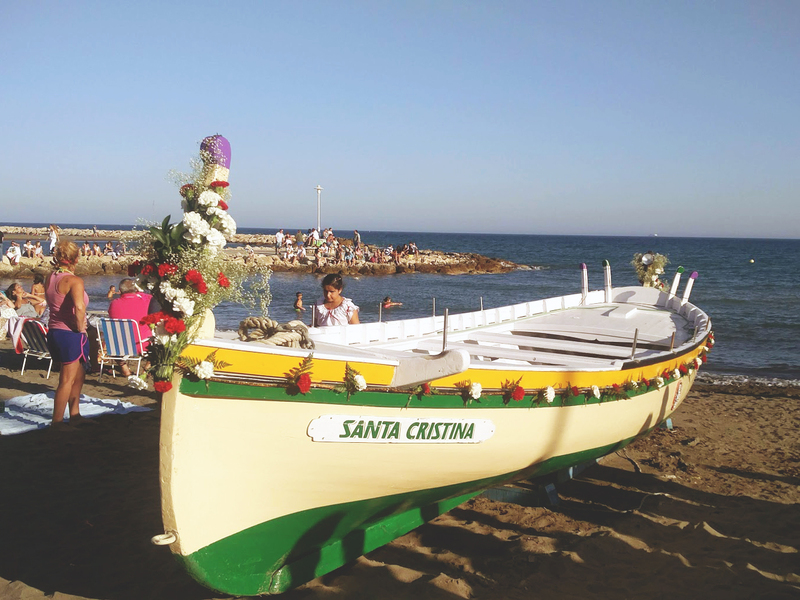 Virgen del Carmen festive is celebrated pretty much in all coast Spanish towns and villages. The yearly celebration takes place in many towns of Almeria, Cadiz, Valencia, La Coruña, Alicante, Tenerife, Leon, Huelva, Cantabria and many others. However, the biggest popularity Virgen del Carmen celebration is claimed to have in Andalucia, in Malaga, Cordoba Sevilla, Granada and its surroundings such as Marbella, Rincón de la Victoria, Pedregalejo, Isla Mayor, Dúrcal, Guadix, Hinojosa del Duque and many more places. In addition to Spain, Nuestra Señora del Carmen is celebrated in other countries around the world especially in South America. Puerto Rico, Costa Rica, Chile, Colombia, Bolivia, Peru, Argentina, Venezuela are the places where the Virgen del Carmen has one or another religious role of protection. The celebration of Virgen del Carmen differs from town to town, however, usually on the evening of 16th of July the sculpture of the Virgen is taken outside with the throne carried by many people. The procession is formed from many religious people, orchestra, and of course the throne carrying the sculpture. The procession takes place at least a couple of hours until it reaches its destination. In some towns such as Malaga and its surroundings, the sculpture is even taken for a boat ride across the bay. The celebration is finalized with playing bands, cheering and flowers throwing crowd, and fireworks. In some places such as Torremolinos Virgen del Carmen celebration is also considered as a local holiday. In Malaga, the processions of the celebration also take place on the following Sunday in this way allowing everyone to enjoy this special day once more. If you are from the north we are almost sure that you have not seen such rituals in your life before. Thus, if you are near the coast during 16th of July, make sure to check the celebration out. We sure it will leave you surprised!